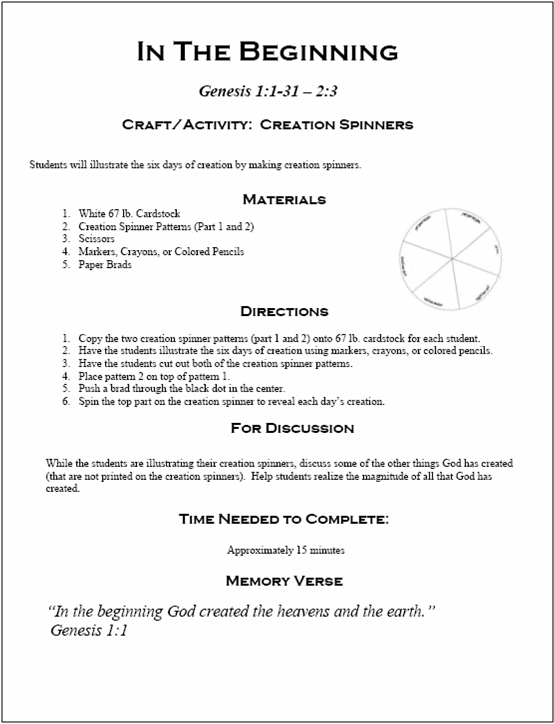 Below is a sample lesson that shows what each lesson includes. 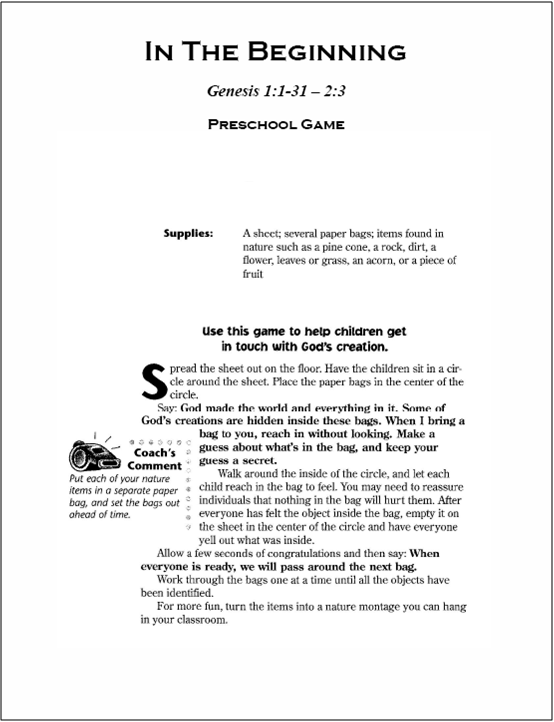 This particular lesson is one of 52 that have been selected to be used for preschool so it has additional resources that are not included in the other 152 lessons in the old and new testament curriculum. 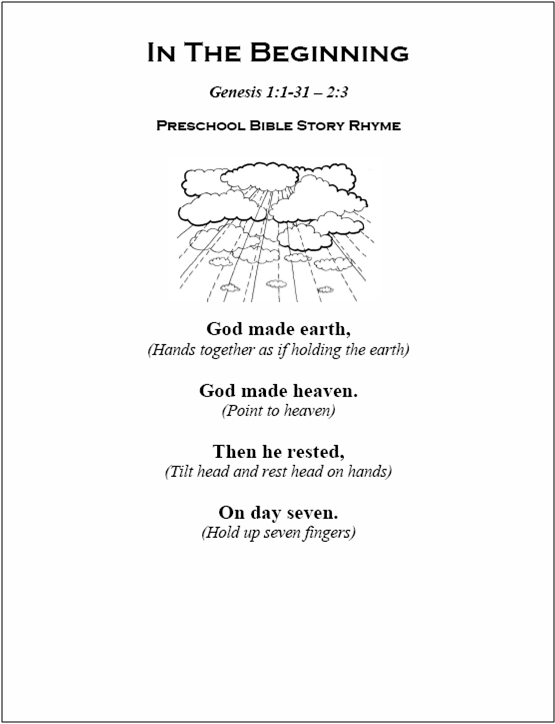 The 52 lessons, with additional preschool resources, have an asterisk (*) after the title of the lesson. 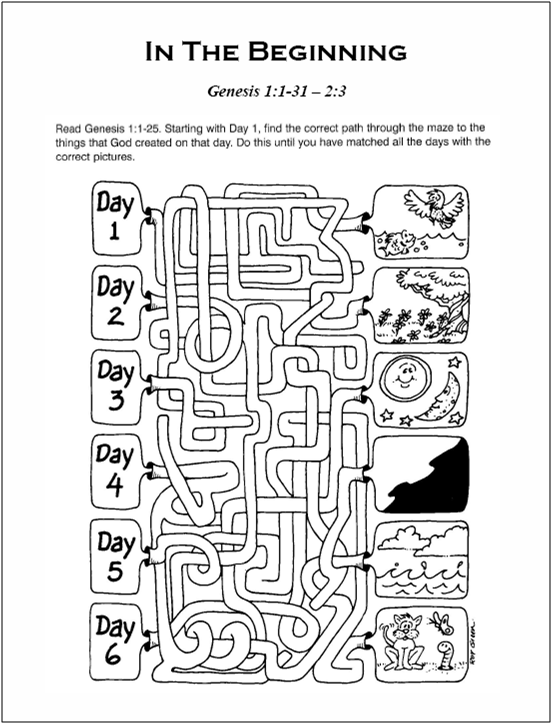 The old testament and new testament lessons were designed for students in preschool through 4th grade. 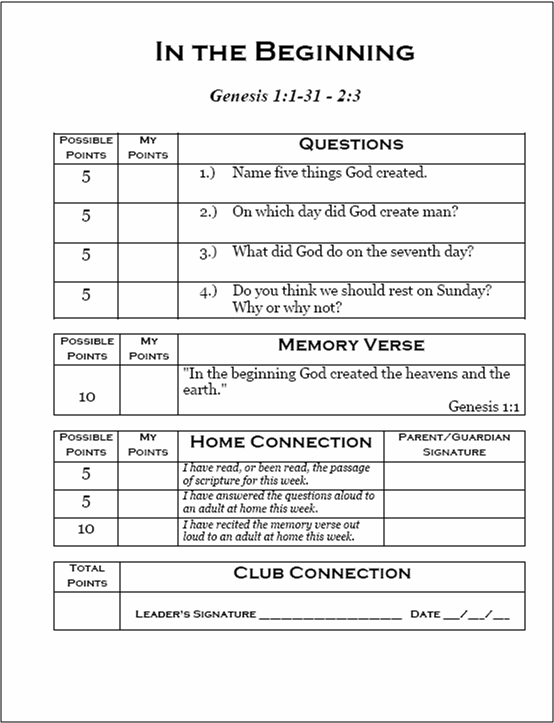 (For students in 5th and 6th grade, click on the "Foundations of the Faith" page to the left). 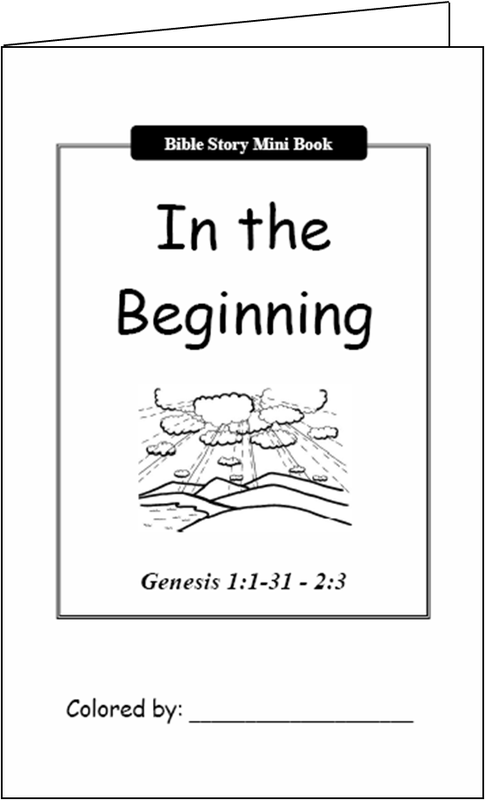 The old testament and new testament curriculum is non-denominational and uses the New International Version of the Bible. Files are all saved as PDFs. 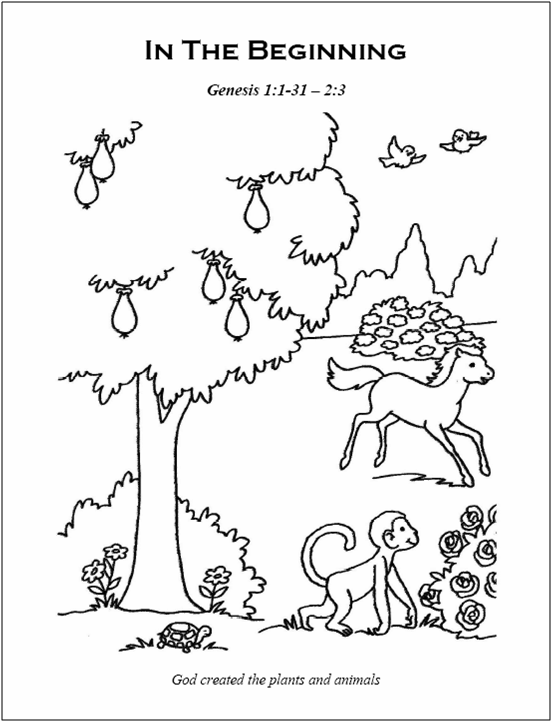 You are free to use any of the materials, save copies of the files, and share them with other ministries. Please do not repost these materials on other websites or sell the curriculum. 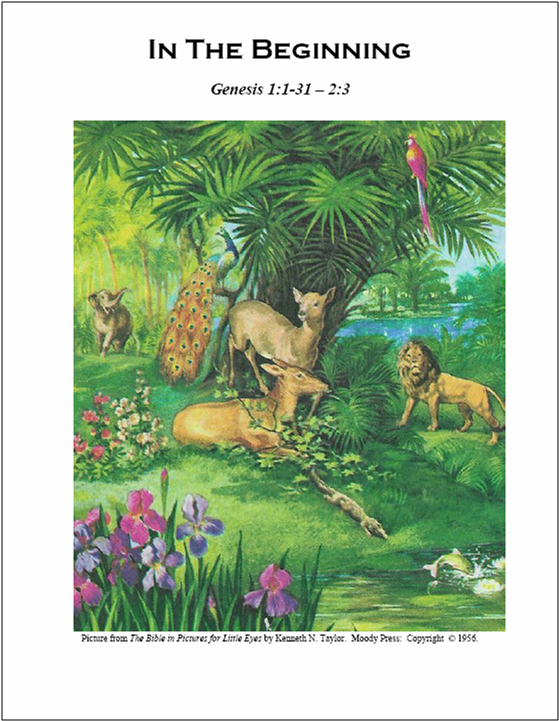 It is intended to bless your ministry and was not compiled to make a profit.